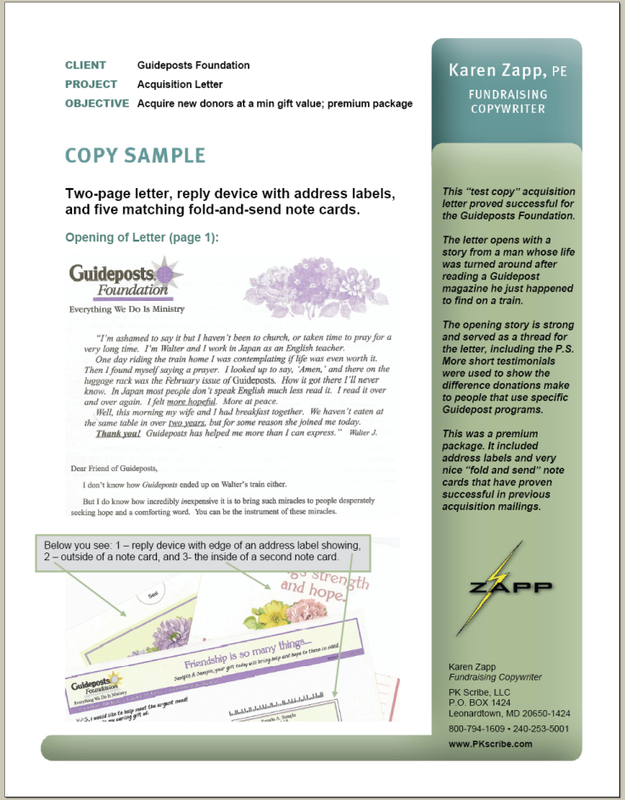 This "test copy" acquisition letter proved successful for the Guideposts Foundation. The letter opens with a story from a man whose life was turned around after reading a Guidepost magazine he just happened to find on a train. The opening story is strong and served as a thread for the letter, including the P.S. More short testimonials were used to show the difference donations make to people that use specific Guidepost programs. This was a premium package. It included address labels and very nice "fold and send" note cards that have proven successful in previous acquisition mailings.